We hope the few minutes you spend looking through the contents here will help you appreciate our efforts and encourage you to find out more about us. The Grace and Compassion Benedictine Sisters follow the Rule of St Benedict who lived in the 5th Century. His Rule is Christ-centred, aiming at a balance, serenity and wholeness. It provides for a family in which each Sister is able to serve God with the maximum of love. Grace and Compassion branch of the Benedictine Family was founded by Miss Mary Garson in 1954. It is monastic, centred on daily Mass, prayer and the Scriptures. The work is that of hospitality, particularly the care of the old, the sick, the poor and the disadvantaged in England and the Third World. It is developing, multinational, with lay participation. Montana Care Home, in Great Barton, ranked amoung the top 20 care homes from almost 2,000 in the region for the forth time. 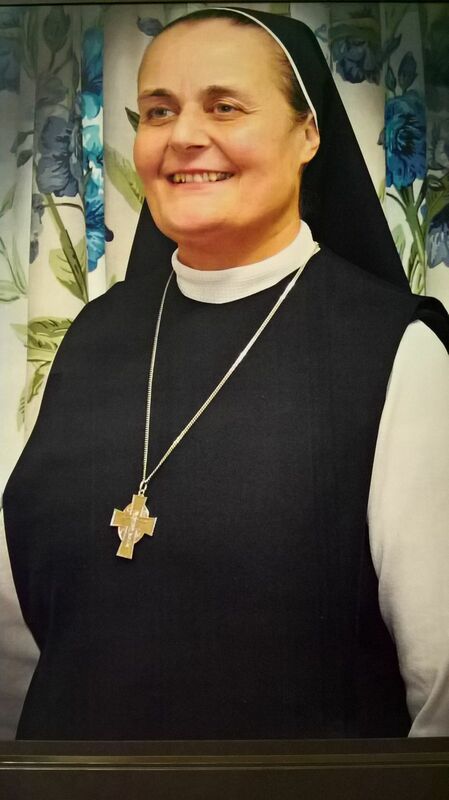 Sr Kathy Yeeles OSB, The Prioress General of Grace and Compassion Benedictines is in overall charge of Montana Care Home and has entrusted the day to day administration and running of the Home to Sr Superior who is also the resident Manager. To gain further insight into Montana Care Home and what it offers, I invite you to visit further pages at this site. Please do contact me, the Manager, at Montana Care Home. Thank you very much for visiting our website.